Without Customer Insight, How Can you Make PRS a Success? To better understand the customer motivations in the buy to rent sector, we commissioned our own research with one thousand people currently renting in the UK. Only half of renters feel like they’re getting good value for money. The main reason people move is to find a nicer home. 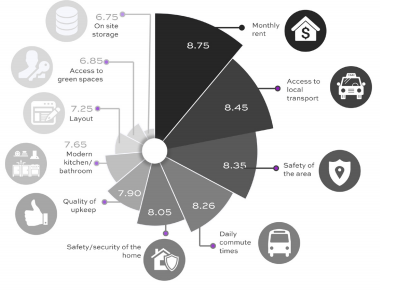 This highlights the importance of providing a nice living environment to ensure the stickiness of the residents. 25% of 40-50’s and 20% of 32-40’s expect to always rent. 50% of 25-32’s expect it to be 3-7 years until they buy with 15% being unsure. Which facilities are the most appealing? Get the basics right first. Ensure the building has the fastest possible broadband and with us all shopping on Amazon, ensure you have a delivery facility which no longer has to be a person. Which are the key factors when renting? Security and safety are key factors. With security, there are many cost effective technology quick wins. Safety of an area should influence site selection as is a key reason.